Fiat Chrysler Automobiles (FCA) India is thrilled to announce that the Made-in-India Jeep Compass was the country’s most awarded vehicle in 2017. After receiving 26 automobile and technology awards from various print, broadcast and online media titles, the Jeep Compass is also India’s most awarded SUV for 2017. In total, the Jeep Compass received 7 “Car of the Year” awards and a further 19 awards including 15 “SUV of the Year” awards. Manufactured in FCA’s joint venture facility at Ranjangaon near Pune, the Jeep Compass, which is built with 65% local parts and componentry has crossed the 25,000 unit production milestone last month, February 2018. The Company began exporting the SUV to international right-hand drive markets in October last year and has already shipped over 5000 units to key markets including Australia, Japan and the United Kingdom. Commenting on the awards, Mr. Kevin Flynn – President and Managing Director, FCA India said, “We are incredibly proud to have won so many prestigious awards for the all-new Jeep Compass, within seven months of its market launch. Thanks must go not only to the judges, but also to the thousands of employees across India that have worked tirelessly to deliver the Compass – from research and development, quality, engineering, manufacturing and commercial operations. As a collective team, we are honoured and humbled. 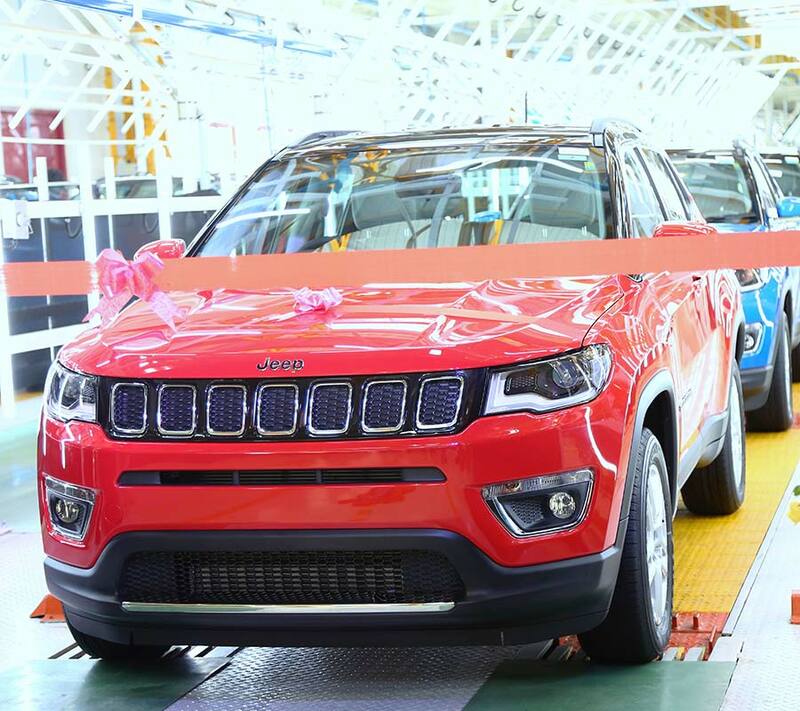 The Jeep Compass launched in India on July 31, 2017 and the first vehicle rolled off the production line in Ranjangaon on June 1, 2017. The SUV is available in three premium trims in the range – Sport, Longitude and Limited, and is offered in 10 variants with 2.0-litre Turbo Diesel and 1.4-litre Turbo Petrol Multiair powertrain options, with 4×4 and 4×2 derivatives available in the line-up. The Jeep Compass received top honours adjudicated by industry experts who have comprehensively evaluated the product in testing sessions preceding the final awards announcements.